The largest sport utility vehicle available in the Chevrolet line-up, the all-new 2015 model year Suburban is defined by new exterior sheetmetal. The body on frame chassis is reworked to be stronger and more rigid for the 224.4-inch long 2015 Chevrolet Suburban. Equipped with daytime running lights and magnetic ride control suspension. A newly released 5.3 liter EcoTec3 V-8 engine powers the 2015 Chevrolet Suburban. Featuring direct injection, continuously variable valve timing as well as cylinder deactivation to promote improved fuel economy, the 5.3 liter EcoTec3 powerplant generates 355 horsepower and 383 pounds feet of torque. A six-speed automatic transmission handles engine power for rear-wheel drive. 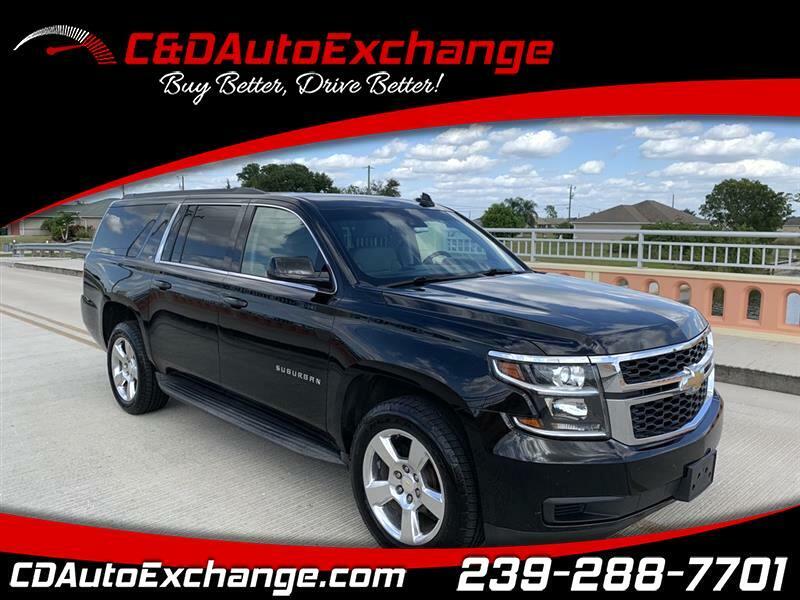 With three rows of seating, the 2015 Chevrolet Suburban is capable of accommodating up to nine passengers. Power windows, air conditioning, keyless entry. 120 Point Mecahnical Inspection passed and certifed. Call 239.288.7701 for your guaranteed approval.